October | 2013 | South Charlotte Newcomers! Charlotte is ready to get her scare on at Halloween events for the young and for the over 21 crowd! 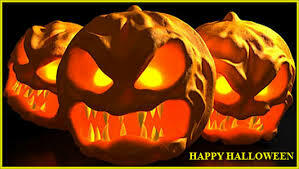 Adults seeking a scary evening in the Charlotte area have a variety of venues to choose from. The 8th Annual Gravediggers Ball returns as the most popular Halloween event in Charlotte! Located at 301 East 7th Street, this is THE over 21 party to get your ghoul on! If dancing and partying spells Halloween fun, then the Gravediggers Ball is the place to be on October 26th! Music, Monsters and Mayhem is a Halloween musical event at the NC Music Factory, 100 NC Music Factory Blvd, on October 26, beginning at 6:00pm. Multiple bands, a $5,000 prize for the costume contest, and multiple venues guarantees a spooktacular evening! Wicked Wine and BBQ Festival Tours is for those goblins who enjoy their barbeque with a touch of sophistication! 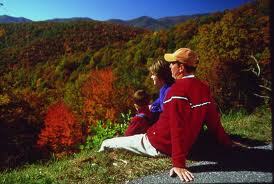 The Tour provides round trip transportation to four NC Wineries and the 30th annual Lexington BBQ Festival! The tour departs at 10:00 am from Charlotte (midtown and University City areas) on October 26th. For the sports enthusiast, The Queen City Twilight Costume Race is back, hosted by NoDA, just north of Charlotte’s Center City. The Freaky 5k Twilight Race begins at 6;00pm and the night can be topped off at the NoDaWEEN party at the Highland Mills parking lot, in front of Heist Brewery. Sponsored by the NoDa Neighborhood and Business Association (official “Voice of the Arts District) a minimum 20% of the 2013 proceeds will be donated to Running Works. Running Works is a non-profit charity for the homeless. Charlotte’s little goblins have a great many spooky, and not-so-spooky, choices to celebrate their Halloween! Older kids in the Charlotte area consider Scarowinds a right of passage! Scarowinds, located at Carowinds amusement park is October 25-27th. Mazes with terrifying creatures and thrill rides will be sure to entertain the kiddos ages 13 and over. For the wee little pumpkins, Carowinds also offers a family friendly Great Pumpkin Fest on Saturdays and Sundays October 5-27, noon to 5:00pm. NoDa, Charlotte’s favorite Art District is sponsoring a NoDa KiDaWEEN on October 26th, 2-5pm! A Monster Obstacle Course, Bouncy House, a spooky walkway and a prize for the most creative costume are just a few of the fun events! Live music will be provided by NoDa’s JUICEBOX, a high-energy, kid-friendly band. Spooktacular at Morrison in Southpark will offer train rides, face painting, trick-or-treating and a pet costume contest on Thursday, October 24, 5:00pm-7:30pm. Treat-O-Ween at Carolina Place Mall will be held October31st from 6-8pm. Radio Disney Charlotte will present their Monstober Halloween Dance Party in the food court. There will be Halloween crafts, and prizes. 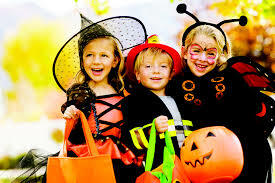 Promenade on Providence on the corner of Providence Road and I-485 is a a free Halloween event on October 25th. The double feature Hotel Transylvania and Franenweenie will begin at dark. The kids are welcome to trick-or-treat with the merchants. Young or more adult, Charlotteans have a variety of spooky venues to choose from in the Queen City. Get your ghoul on and have a happily hideous Halloween!